Kefalonia is a lovely island bursting with colorful flora and fauna cradling the quaint town of Argostoli, the island's capital, in its midst. With its palm-lined cobbled promenade, stunning beaches and vibrant town center, Argostoli attracts visitors from around the world and is the perfect place to soak up the glorious Mediterranean sunshine while enjoying the unique Greek culture. 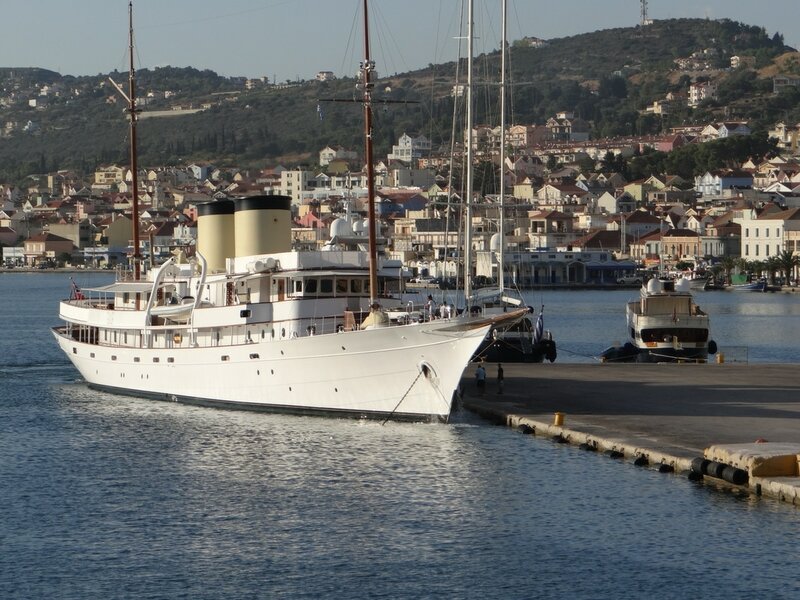 Surrounded by gorgeous azure waters and boasting a beautiful natural port, Argostoli is also the island’s main port. Despite being a modern, commercial town, Argostoli’s tradition and heritage oozes from its charming architecture, vibrant squares and pretty landscapes. Lithostroto, the main street in the town center, is the hub of the town and home to a number of shops, cafes, bars and restaurants. 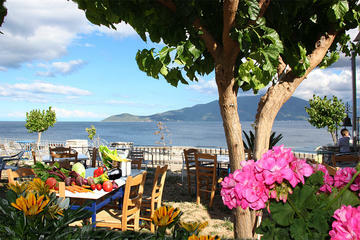 Kampanas Square, found in the middle of Lithostroto , offers superb views of the town and the beautiful Koutavos Lagoon. Just a short distance from the town center you will discover the impressive Lighthouse of Agioi Theodoroi . Rebuilt in 1953 after an earthquake destroyed the original 19th century building, the lighthouse has a unique design that features 20 columns and a small tower. From here you can admire stunning views across the Palikis peninsula. Located in Argostoli, the museum houses findings from the Palaeolithic period through the Late Roman period. You will learn much about the rich cultural history of the island by viewing the extensive collection of photographs, objects, costumes and other artifacts at the Corgialenion Historical and Folk Art Museum in Argostoli. 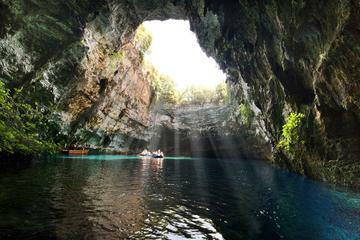 Discover the highlights of Kefalonia on a 5-hour day trip from Argostoli. Kefalonia is a well-preserved, unspoiled paradise with lush vegetation, dazzling beaches with breathtaking contrasts of deep blue, white and green, romantic sunsets and scenic landscapes. Follow the passionate chef to the preparation process of a full 3-course meal of local recipes. Get secret cooking tips, learn about local products and production procedures and hear interesting stories. Enjoy your feast with your fellow food lovers and try local wines or spirits. Get familiar with ingredients by cutting them yourselves from our beautiful garden. Enjoy the experience in the relaxing, outdoor, exquisite natural environment of Sea Rock ws highly-rated restaurant with amazing sea views at the heart of the island.